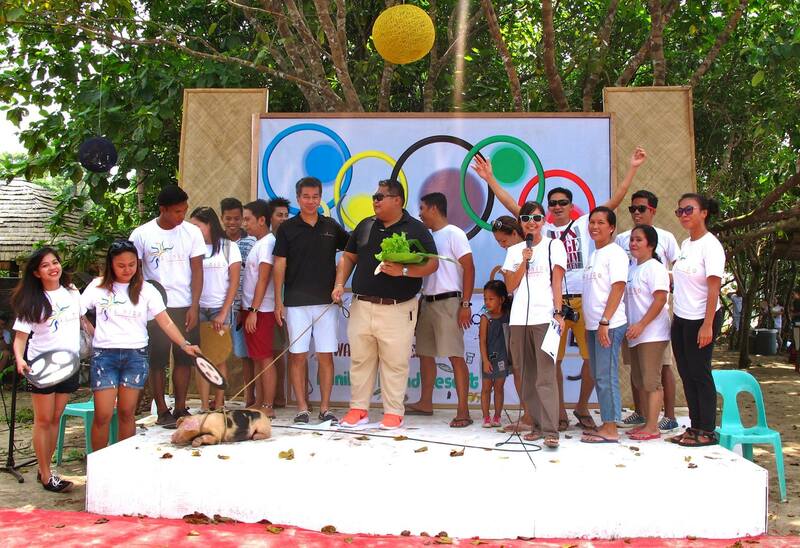 On October 25, we celebrated our annual El Nido Resorts Family Fun Day. It’s that once a year when we all get together with our colleagues and our respective families for games, activities, lots of food, and dancing. This has been going on for so long and has been a great way for everyone to get to know each other more, while bonding with our families at the same time. It is also one of the company’s ways of thanking the staff for all their hard work since they are the one of the major reasons why the resorts are doing so well, in the first place. 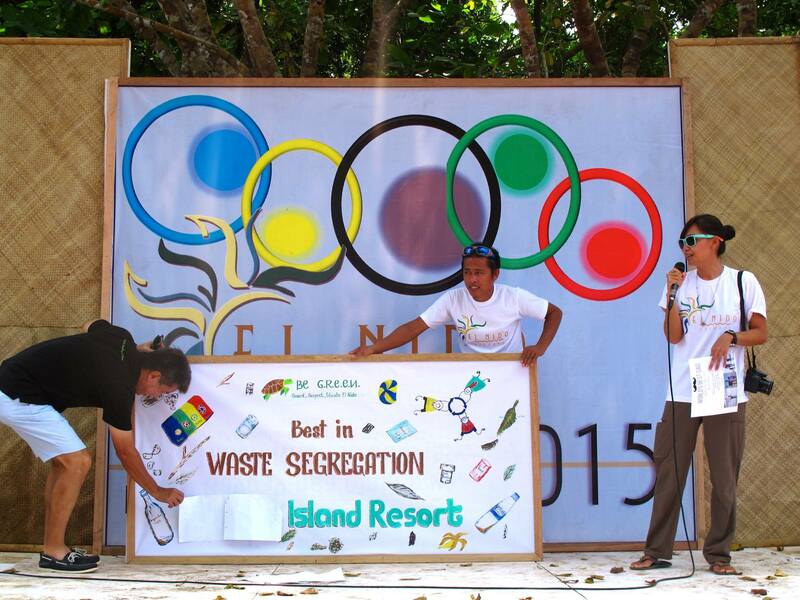 We at the Environment Department also grabbed the opportunity to reward the resort that consistently follows the Segregation at Source program (for more on our waste disposal practices, this article will get you up to speed). Every day, the Materials Recovery Facility team rates the resorts’ segregation with Very Good, Good, and Bad. Determining the winner is as simple as tallying who has the most number of Very Good ratings for 2015. Ten Knots President and COO Al Legaspi reveals the winner. Segregation is one of the constantly tough challenges Environmental Officers face in solid waste management since it mostly deals with behavioral change and habit formation. To boost participation, strategies are always modified according to needs. Resort Managers also play a huge role in its success through their strict implementation and unwavering support. This was the first time a competition was run among the resorts without the competitors knowing it. A big CONGRATULATIONS is indeed in order for Miniloc Island Resort. They consistently stuck with the program without expecting an incentive! Good segregation = Good compost. Miniloc Island Resort manager Big-Mac Guerrero receiving the awards: a bouquet of organically-grown produce and a happy pig! Jamie is a graduate of BS Psychology from the University of the Philippines-Dili man. Upon graduation, she knew that a normal desk job was not for her and through a series of very fortunate events, ended up working as the Environmental Officer for Lagen Island Resort. In 2014, she took a break to do pro-bono consulting and learn more about wildlife conservation, particularly with wild birds and marine turtles. She honed her birding skills as an active member of the Wild Bird Club of the Philippines, served as the project manager for the pilot project of Pawikan Watchers in San Juan, La Union and became a consultant for Morong, Bataan’s Bantay Pawikan conservation group. Before taking back her role as Lagen’s EO, she packed her bags and permanently moved to El Nido, with the plan of strengthening the use of community-based sustainable tourism as a tool for active biodiversity conservation.